Is there Age Limit for Massage Chair Use? The common question for most consumers who plan to purchase the right massage for them is if the use of massage chair comes with age limit. Can children and seniors use this massage device safely? Assuredly, safety is one of the vital considerations that we need to take seriously when it comes to purchasing any home appliances or equipment. For a fact, this includes massage devices and the question that one must not overlook is if this device is risk-free to use for everyone. How old should your children be prior you let them use this device? As most of us know, children often like to use any appliance or devices that they are curious of. They generally feel so delighted and quite inquisitive particularly if a new home appliance is something that’s unique and something they think they can have fun with. Of course, as parents, it is very important to ensure that this won’t cause them any harm. When buying a massage device, consumers need to consider if this comes with age limit either for little ones or elders. Needless to say, little ones and elders are very fragile and prone to illness and injuries so you surely wouldn’t want them to suffer just in case. 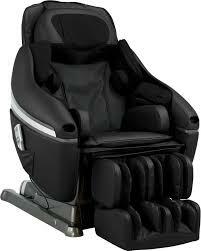 This is the reason why you have to be very detailed of the pros and cons of owning a massage chair. You simply don’t purchase, your responsibility to ensure that what you buy is a big help for everyone. What’s the age limit for children in terms of massage device use? In point of fact, no product could be guaranteed 100% safe to use for people of different age brackets. In addition, there are restrictions to how old a child must be to utilize massage equipment in a safe mode. Take in mind that children below 12 years old must not be allowed to utilize a massage device without adult’s supervision. Indeed, children below this age limit might find a session in a massage device to be slightly quite intense. Likewise, children below the age of 12 generally have delicate muscles and bones that might swell and sore from the massage methods offered by the device. Note that this does not imply that children below the age of 12 cannot have a massage. To allow wellness as well as physiological benefits of a soothing massage, it is highly advised to let kids have their massage session done by a licensed massage therapist. It is worth noting that massages have been disclosed to energetically soothe and calm children as well as teenagers suffering from ADHD (Attention Deficit-Hyperactivity Disorder). What about the upper age bracket for massage device use? Essentially, senior citizens probably require the most out of exhaustive body massages than others. However, the question is – is a massage device safe for use for elders with brittle bones and delicate muscles? It is significant to fathom that soothing massages have been revealed to greatly aid improve the body’s natural resistance to various ailments. As a result, massage devices always come to mind whenever people think about this benefit. In reality, certain conditions including hypertension, osteoporosis and heart ailments are more prevalent among elders. 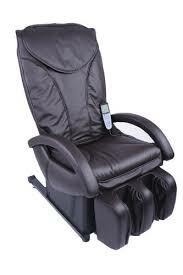 Massage devices and in particular cases have complicated the conditions previously mentioned. In order to ensure if a massage device is safe for you, for your elders and little ones, it is highly suggested to consult a medical practitioner prior buying one for you. While massage devices are effective and do not really harm anyone while in use, still we should not ignore the fact that some people have fragile and delicate body making them more susceptible to ailments and injuries by using different products or equipment. Many a time, the product or equipment that you bought is not the problem, at times; people who are already suffering from certain conditions are just not the right people who can benefit from the favors of a soothing massage device. While this may be saddening, it’s one of the realities in life that we need to accept. So, if you’re eyeing to invest in a massage device, always ponder on the age restrictions that this equipment is stringently implementing. Buy the right product by weighing the upsides and drawbacks of that product. Research has disclosed that over 70% of Twitter users are more likely to purchase services from companies they follow as compared to other firms that they don’t. Be that as it may, with merely a total of 140 characters to make an impression on this social media site, it calls for a notable deal of expertise to stabilize your firm as an industry leader. 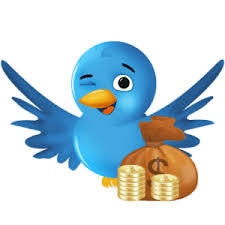 What effective strategies to execute in order to ensure business success on Twitter? Users require content that they could tweet on a consistent basis. Begin through utilizing pieces from firm news, material from keyword-abundant blog posts or useful advice from a highly respected spokesperson. When a certain person in your field is acknowledged in a post, take the chance to reply to it. Consider discussing a valuable topic to them or congratulate them. It is crucial to strive harder when it comes to getting your name in front of renowned influencers in your target niche. Alternatively, you can Twitter retweet too. 3) Twitter users look for sites of topics that engross them the most. It is useful to employ relevant hashtags when tweeting to successfully lure the attention of your audience. For instance, #yoga, #beauty item, # basketball etc. Whether this is sports, event, fitness and health, beauty and the like – you’ve got to use the appropriate hashtags for all these. 4) Tap into the most current trends. Resort to the left portion of your Twitter page and from there you will view what’s recently trending locally and globally. See to it to ride the support of a trend through hashtagging it in your post. 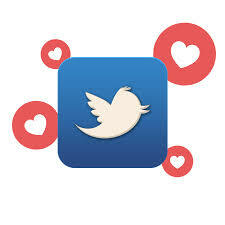 Grab the chance to Twitter retweet some trends that you think your audience will go nuts about. Nearly all social media users prefer to read tips. So, consider sharing some “tips” on various topics that you think people will love. People love DIYs, some useful advice on various aspects of life. You can do your research on this! Install a live chat on Twitter with your audience. This is a good chance for your followers to ask some queries, get advice and tips, or talk about an engrossing and valuable topic with you. Aside from what was mentioned above, you could also possibly cross promote the transcript on your firm’s official website, Instagram, blog and FB page. Twitter lets users compose a list of people. Fundamentally, this is a top-notch method to keep track on your competitors, associates, influencers and the media. What to do if you hope to employ Twitter to acquire press hits? Over and above, one of the most notable approaches to get a broadcaster read your contents is to interact with them on social media. In reality, it is pivotal to take absolute interest in what they compose and RT content that you find noteworthy. The bonus tip here is that it is effective to employ social media to read up on the beat they cover prior you pitch them. Are Twitter Retweets Regarded as Endorsements? Many Twitter users these days are into Twitter retweets. For a fact, even famous personalities choose to RT what others have shared particularly if this is about politics, the latest controversies and talk of the town issues. Many decide to retweet because this means you agree with what the original creator of the content has shared. Many a time, an RT is mistaken as a form of endorsement – well, this is because it seems like it. Some renowned personalities would often RT people particularly political accounts and then later on they would claim that their intention was not to endorse- doesn’t this act look misleading then? While this might be viewed as merely sharing info for them, doing so is not a good example to mimic. So, instead of just retweeting, it is a lot better to add a comment prior their RT. This is for you to clearly signify if you adhered to it or maybe clarify the reason why you are RTing the content. This is still a wonderful advice but much less generally done since it is less agreeable to do so. Undoubtedly, Twitter has substantially evolved and there is no reason to explain in details the history of RTing. More than that, the regular or conventional Twitter retweetwhich is commonly indicated as RT is unlikely. This implies that your audience might not even realize that you RTed it. Old Twitter users have commonly held on to the original method of RTing; however, with a plenty of new users on this social media site over the last few years, the standards have evolved. Evidently, all users now employ the recent RT style more often than not. In the same way, it is progressively complex not to hit retweet. This could be performed but a significant difference is that the recent standard for RTing no longer requires taking into consideration the 140-character limit on Twitter. Users could easily RT even a 140-character tweet when in fact in the old times your retweet had to stay within the standard number of character comprising of “RT @username” prior users can even add any comment. The outcome is that users need not worry about the length of the post in order to make it easier to RT. Their posts are as lengthy as they prefer without leaving space for comments or attribution.As seen, it seems RTs these days need countless of editing for a conventional type of RT. For whatever purpose you may have why you are using RTs, what’s more important is that you make it clear why you are retweeting a certain post. Clarifying your reason may be done through adding comments to the RT so that you don’t appear simply endorsing and share your thoughts about what was shared – this is if you do not mean to endorse. Otherwise, RTs can be used for endorsements too – this is if you did not make it clear why you are retweeting a specific post or content. To put simply, make your RT message clear! 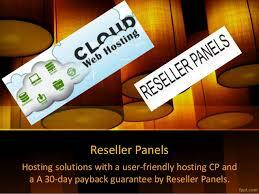 The reseller panel business hosting plan is appropriate for blogs as well as for all kinds of business websites. In addition, this enables you to host by up five domains and to install limitless email addresses and MySQL databases. The business hosting plan is ready for use for reseller as component of the reseller hosting program. This means that there is no requirement for you to purchase this plan just to reseller it or to provide for any reseller fess or startup charges. More than that, you don’t have to be troubled by customer support because once you subscribe with this type of servcie, you will be provided with 24/7 technical support to your customers in your stead. Aside from this, it is possible to buy the business hosting plan for your own requirements at a wholesale selling cost. Note that the plan could be ordered on the servcie providers’ official website or with the aid of your reseller control panel. What are the key specifications of a business hosting plan? 20 SQL Databases. Clients will obtain a total of 20 databases at their disposal. They provide limitless database storage quota which implies that you don’t need to be troubled about content restrictions. Likewise, the plan also provides 5 PostgreSQL databases which are especially intended for more advanced users. 5 Hosted Domains. It is significant to note that the reseller panel business plan enables you to host by up to five domain names. This is more than sufficient to administer all your hosting stores from one site in a trouble-free approach. In so doing, if you have more than a single site, you could freely dispatch it over to the service provider’s servers. 1-Click Web Apps Installer. This plan comes with a single click web apps installer that lets users set up a CMS, a blog, an e-commerce site or an image gallery in just a single click. There is no need to worry about the installation methods or search for the most recent version. Indeed, the service provider’s installer will even craft a new database just for you and this will be executed in an automatic approach. Data Backups on a Daily Basis. Your databases and websites will be backed up on a daily basis in an automatic manner. This simply implies that you could access the ready for use backups at any period and for you to be able to restore an entire backup, or restore a specific part of it, this could be done in a single click. Anti-hack Firewall. With this kind of hosting plan, you could have your website safeguarded from the most general hacker threats. This type of firewall is enables through default for every account and it will begin safeguarding your websites as soon as they go active. Real-Time Web Stats. These are capable of delivering real-time data regarding the visitors of your website and traffic right through your control panel’s home page. This makes it possible to view your guests as they interact with your sites in real time as well as to take metrics at peak traffic hours in order to impede the sites from going offline. We are living in a world where everyone is looking for ease and convenience. The current generation is commonly referred to as the instant coffee generation. This is largely due to the fact that we have come up in the technological age. This is an age where newer and better ways are constantly being sought to do things. These newer and better ways are resulting in the ability to do things faster, easily and more conveniently. They have cut across the board to our homes, education, business, health and every other aspect in our lives. That being said, if you are looking for a business that you can run easily and conveniently, you should definitely consider the reseller panel business! Having a side hustle in the current economic times is a very good idea. Times are really harsh and eth cost of living is sky rocketing. It would not hurt at all to have that extra income coming in. The reseller panel business provides for the perfect side hustle. First and foremost, the panel for reseller business is conducted online. This means that your physical presence is not at all required. You can attend to your day job while still running this business provided you have an internet enabled device and internet access. For the business you will have a panel for reseller tool. This is a tool that can easily be operated from any internet enabled mobile device. 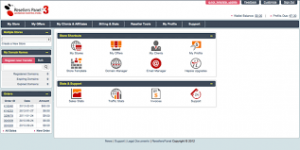 It is basically the tool that you will use to manage all your customers’accounts. From it, you can engage your customers and at the same time ensure that they are getting all the services that they require from you. You can confirm when they make payments and even send them reminders when they need to. All these easily accomplished from your smartphone or tablet. You can carry your panel everywhere you go which means that you can easily conduct your business form anywhere in the world. Another very good aspect of the reseller panel business is the service provider. Essentially, the service provider usually does all the heavy lifting for you. This business is about providing web hosting services to customers. To provide these services you will need bandwidth and drive space. What normally happens is that you will source these from a service provider who will provide them in bulk. You then distribute the same to your customers. In the business, the service provider is usually responsible for providing the bandwidth, drive space, network infrastructure and also for the maintenance of the network. All you need to do is to make sure that you have a solid agreement with eth service provider and you hold up your end of the bargain; make all the required payments on time. Basically, with this business the service provider and the panel for reseller run everything for you. You majorly play a monitoring role. Just make sure that each of them is well taken care of and your business will continue running smoothly. When running a certain social media campaign, one knows the importance of having many twitter likes; if the campaign is being run on twitter. The huge number of likes works very effectively to give the campaign the visibility that it requires. There are however a number of people who find it very challenging to get the required number of likes. They keep wondering how everyone else does it. The secret will be revealed today.There is actually a very simple task that one has to accomplish to get the Twitter likes in large numbers; ask. Yes, I said ask. You might find it shocking but it is actually that simple. When you are running a campaign, people need to know that you are running that campaign and why you need that campaign to be successful. While you are explaining this to them, you should also explain the role that them giving you the twitter likes will play towards you achieving your goal. Then ask them to give you that like. You would actually be shocked at the very huge response that you will get. Many people fail to get the likes for their campaigns because the general public usually does not even know that they are running a certain campaign that requires the likes. Do not be shy. Within that tweet that you send out, make sure to include all the information that has been stipulated above. Remember though that with twitter you can only use 280 characters. Use your characters wisely and make sure that you drive your point home. This approach has been known to be very effective. Normally everyone who reads the tweet immediately gives you the twitter likes. You can also use the other various social media platforms that you are on. The entire world today converges online. The social media platforms register millions and millions of users each and every day. You using the platforms to reach out to the people will automatically mean that you will be reaching out to these millions and millions of people within a very short time. Post the link to your tweet on your other social media accounts and ask people to give you that twitter likes. Once again, you will be shocked at the amount of positive response that you will get. Verbally asking those around you is also another good approach. The basic point here is that to get a large number of the twitter likes, make sure that you get the word about your need for it to as many people as possible. There is one very important factor though that also plays a very huge role in determining whether or not you will get the twitter likes; the goal of the campaign that you are running and the content that will be written in the tweet. These two have to resonate with the people that you will be reaching out to; it is the only way that they will give you the like. Make sure that you are a running a positive campaign and one that people won’t mind to be associated with. Did you know that employers nowadays also try to browse through the social media profiles of their job applicants before hiring them? Well, the reason behind this move is because they could somehow uncover some ideas whether the applicant is worth-hiring or not. Needless to say, by solely browsing retweets and tweets isn’t sufficient. In order to have deeper understanding how a potential employee perceives things, it is crucial to investigate the location they conceal their most obstinate and deepest worldviews: these will be somehow be revealed on their Twitter likes. Are you aware that carefully checking out a person’s likes on Twitter is highly deemed as both excellent personal and premium quality human resource practice? This is why it is practical to generally administer a complete “favorite” investigation prior you decide to hire anyone into your company. As you can see, the logic here is laid on the line. Nearly all people are aware that their posts are public and hence can be subjected to public search or surveillance. Indeed, this does not halt them from posting even their most abhorrent viewpoints or snapshots that bestride the line between vulgar and violating the terms on Twitter. As observed, people are more prudent in their tweets and RTs as compared to their Twitter likes – where they clearly disclose their real, often ludicrous, colors. Essentially, you can learn more about the applicant through researching their recent history. Take into consideration that it is necessary to go all the way back to the start of Twitter period – the spot where most users didn’t reach – this is the perfect place where you could unveil the good and bad side of that person. While this may be time-consuming, it definitely pays off in the end. Obviously, by simply examining what a certain applicant is up to, what he or she likes, then you could easily discover more about his or her personality, interests and what he or she can offer. From there, you can decide whether that person can be of help to your organization or just a problem that you will need to fire at a later date. While of course merely discovering the likes of a job applicant on Twitter shouldn’t be the sole basis when hiring a candidate for the job, it cannot be denied that this could help you come up with a well-informed decision as well. Browsing someone’s profile on Twitter or in any social media platform could provide you some ideas of what kind of person he or she is; however, make sure that this won’t only be the method of research that you will be using when deciding to hire someone for a specific job position. Looking back, almost everything in life has changed tremendously and it’s all thanks to the technologically-advanced era we live in. No matter how much changes there will be, always think carefully first, gauge the pros and cons and don’t be easily carried away especially if you know for yourself that it isn’t a good thing to do. Does Proper Posting Schedule on Twitter Affect Automatic Likes? In reality, social media is one of the most effective means to intensify your brand and the outstanding content that you are forming. However, it is not adequate to merely post content to social in times you just feel like it. Did you forget that there some times that are considered better as compared to others? That said, what are the most exceptional hours to post on Twitter or in any other social media networks? Unluckily, there is no accurate answer to this question. In truth, social media users browse each social media platform distinctly and various businesses might find particular times and days that work more effectively for them. Keep in mind that these are not only or the best times. Excellent post timing actually relies on the platform that you are currently utilizing and on the manner how your target followers interact with that platform, the locations as well as the comparable time zones that you are aiming at, plus of course the marketing objectives like shares vs. click throughs. What to do to secure more automatic likes on Twitter? How does proper scheduling affect this? It is imperative to properly manage and plan your social media posts with the aid of an effective calendar template that can be found online. Be that as it may, there are tons of information on the most excellent period to post on Twitter and other social media networks. You may bookmark posts like that and consider them as a guide that you could resort to by the time you especially require to discern the optimal posting schedules for your business. Just like in Facebook, many social media users utilize Twitter on both desktop computers and mobile devices, both at their residence and business place. It is worth mentioning that how this is utilized also relies largely on your audience; however, people commonly treat this like an RSS feed as well as something to go over at idle periods such as break time, while on the go and the like. The average of the best time to post on Twitter is roughly 12 to 3 in the afternoon; with a peak at 5 in the afternoon- this is quite sensible since it corresponds with night commute. More than that, weekdays also tend to indicate a more robust performance even though a few niches may obtain more active followers on the weekend. Take into consideration that if your purpose is to maximize click throughs and RTs, then you may consider aiming for noon periods such as three in the afternoon or five to six p.m.
With a considerable number of business encountering a rapidly growing worldwide audience, differing time zones have become a very serious concern, particularly in terms of the most effective and crucial period when to post. That said, you better make a research and thorough observation about the period when your audience are more likely active and engaged. In so doing, you can somehow effectively generate more automatic likes on your Twitter account. Many Twitter users are incessantly scouting for ways on how to obtain an increasing number of automatic likes on their Twitter posts – in addition, this has paved way for bloggers to offer countless of brilliant advice on the said topic. While it may be difficult to accurately tell what things to factor in just to ensure that you can lure more Twitter followers to like what you have shared, there are still tried and proven ways that you can execute to somehow augment the number of audience and at the same time get as much number of likes as you wish. Obviously, people will prefer to browse photos rather than read mere texts. Of course, the photo you post tells about the message that you are trying to share. Rather than reading mere texts that seem boring, nearly all Twitter users will prefer viewing photos than reading. Undeniably, most Twitter marketers understand that posting pictures will effectively produce more engagement from followers. In reality, we reside in a visual world and with more Twitter users than ever utilizing mobile phones to browse their newsfeeds, it cannot be overlooked that visual posts are more substantial than ever. As compared to mere texts, social media users prefer graphics and photos because these are a lot easier to consume and admit it or not, these are more interesting to share with other users. What are the things you shouldn’t do when sharing pictures on your Twitter business page? As much as possible, post graphics that you made on your own. Never ever violate copyright. Refrain from using photos that are not yours if you do not wish to have legal issues to deal with later. Capture photos using your mobile device and ensure that the outcomes are not blurry ones. It is not advised to jumble your photos with text. Don’t ever solely attempt posting pictures if you are merely attempting to drive traffic to a website – remember that is what link posts are for! Try mixing up. This means that you could add some memes, infographics, illustrations and videos so to effectively complement your pictures. 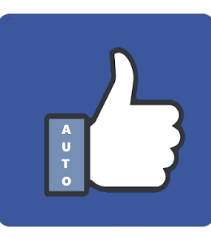 Another way to generate more automatic likes is to ask queries. People commonly generate tons of engagement through solely asking queries. More than that, if you require more ideas and inspirations to mimic, you can browse some trivias, fill-in-the-blanks, quotes and other fascinating forms of posts. As much as possible, keep the queries concise – maybe 100 to 140 characters. Ask queries that could be answered in a single or a couple of words. Ask multiple choice types of queries. Remember, it is essential to keep the options to a minimum like a maximum of 3 choices will do. Consider asking true or false, yes or no, like or dislike type of queries. Try to incorporate the shared advice next time you tweet!